Knowing how to measure your room correctly is crucial to buying the right amount of flooring material to save the hassle of revisits for more and refunds and returns from ordering too much. For a square or rectangular room with no interruptions, the simple key to get it right is once you have measured up your room accurately add 5-10% on for waste to keep provision for any cutting errors. If you have additional structures emerging from the floor of your room, for example a stair case, a mantel or a built-in closet, you may need to factor in more than 10 %. You could always summon our expert team to help you estimate the material needed for your flooring project.It’s also very simple if you would like to measure up yourself. The only equipment you will need is a measuring tape, pencil and paper. The foremost tip is to measure your floor in meters as that’s the measure in which you will be ordering your floor. 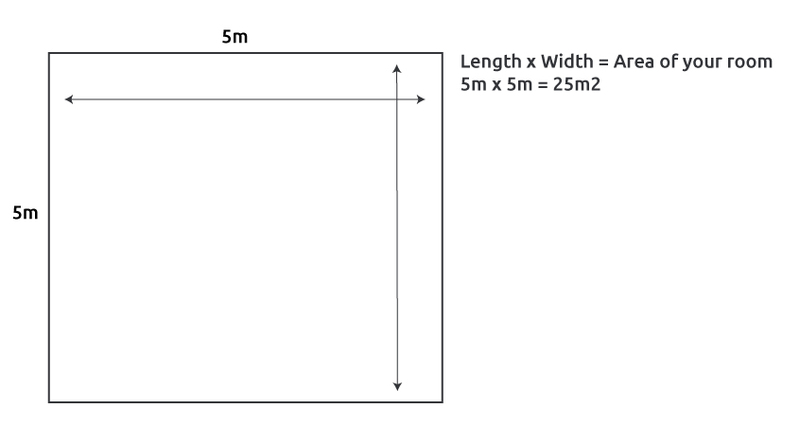 Step 3- Multiply length and width and you get the total area of your floor in Square meters. 2.5m2 + 25m2 = 27.5m2 That’s your total order. To measure flooring for an irregular room, the trick is to break the room open to its component parts. If you have a L shaped Space, create a rough sketch of the layout then identify areas which can be split into neat, easily manageable squares or rectangles. Measure each one individually. The Area of each section is then added together to get the total area of the room. Add or Subtract as necessary. 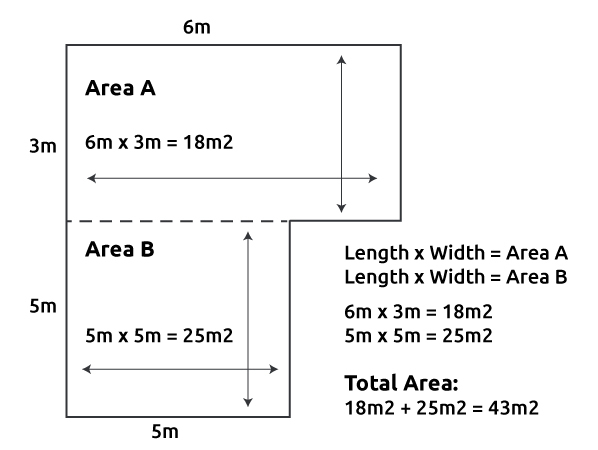 Area A + Area B gives you the total measure of the flooring you need to fill that space.